Imagine a simple sack. The brown pieced cloth inhabits the image in most people's mind. 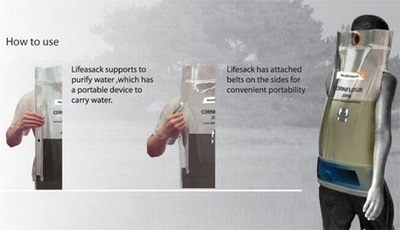 But now an innovating item has been produced, the Life Sack. 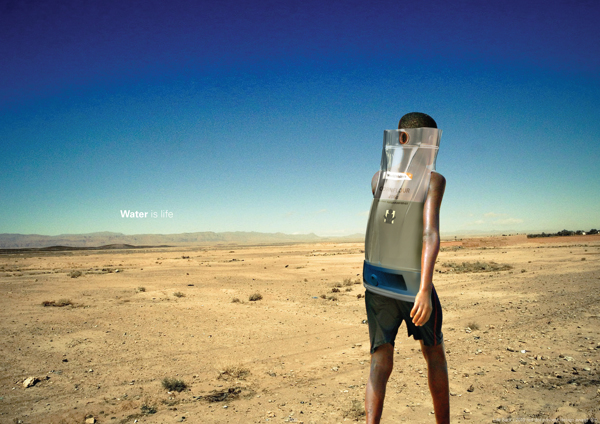 Third world countries suffer from water scarcity, a fact known by the entire world. Many projects have been produced, but they have either been too expensive or too irrational. But the Life Sack is neither, it's practical and sufficient. As a project, it strives, and this is why. 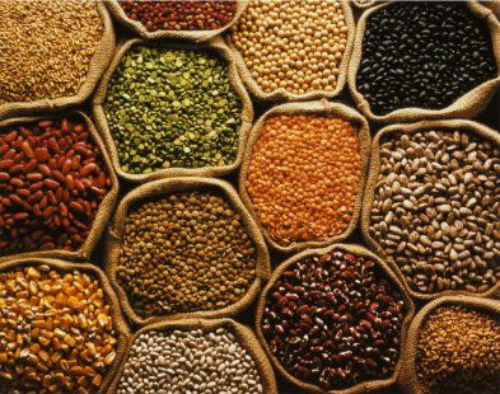 Several charities donate grains and beans to starving countries in need. So three inventors, ﻿Jung Uk Park, Myeong Hoon Lee, and Dae Youl Lee, decided to 're-invent' the sacks that carry the grains to act as water purifiers. There is not a specified date of when the Life Sack idea devolped, or when the item was carried out, but at the same time it is still a helpful innovation. Once understood, the whole invention is simple to understand. 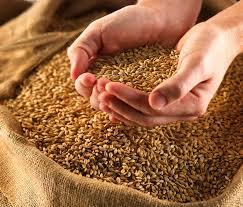 As the charities deliver the grains or other common supplies to the countries, the regular sacks are replaced by the Life Sack. 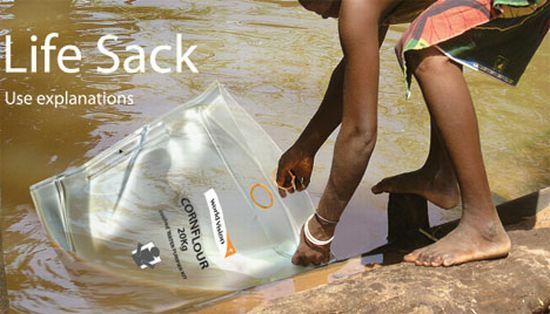 After the grains have been either stored or used, the Life Sack can be reused as the water purifier. And how does the Life Sack purify this dirty water? It uses the concept of ultraviolet radiation. The process of using thermal energy to purify water traces back to the Greeks themselves, boiling water to rid of bacteria. Ultraviolet differs from the Greek's methods but uses the sun's energy to demolish of bacteria and other microorganisms. The Life Sack can either be strung onto a wall or comes with a handy strap so it can be carried (picture shown on the side). 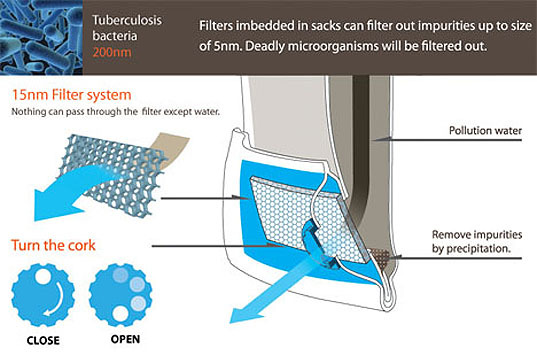 The sun filtration procedure is just an addition the Life Sack's own filter. 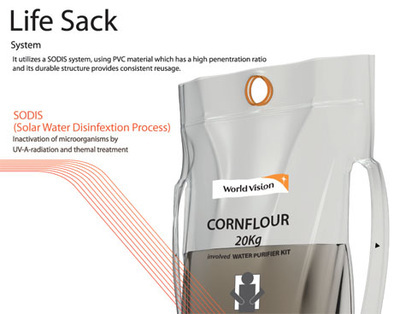 The Life Sack has laced the old methods of using radiation to filter and purify water, but has been reconstructed into a sack. 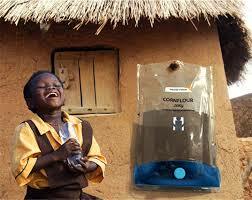 It proves to be an innovation that helps people in need, providing the food from charities and clean water as well. A genius idea for an amazing cause.